It has been roughly 50 years since a movement swept across the country. It was during the decade of the 60’s, when it seemed that our country was in turmoil over many things, from the Vietnam War to the growing psychedelic drug culture. Within that, God began to work. Many of those who had sought answers to life through drugs, immorality, and other means, were being challenged by some to consider Jesus as the answer and hope they had been searching for, the One Who could fill their emptiness and discontent. There were many key figures and events that occurred during the Jesus Movement. Many point to its beginning, though it cannot be proven, to the Haight-Ashbury district of San Francisco. It spread across the country, not just touching the lives of the “hippie movement” at the time, but even those who were not involved. The Holy Spirit was working. In Dallas, for example, in 1972, Campus Crusade (Cru) hosted EXPLO ’72 which attracted over 85,000 and a music concert which culminated the event drew over 180,000 people. By the end of 1972 over fifty books, on, by or connected with the Jesus Movement had been published. The contemporary music scene began, really, during this time. The group, Love Song, one of my favorite Christian groups, were saved. The story is told of their being invited to sing at a church, and because of how they looked, long hair and all, the people were very cold and judgmental. Once, though, they were given the chance to sing, God broke through. Walls were broken down, and God moved through the music of this group. Tommy Coomes, one of the members of Love Song, would launch the creative department of Maranatha Music, which led the way in worship songs back in the 70’s. As I have read and spent some time looking at what happened back in the 60’s and 70’s, I see a few lessons for us here in 2018 that are reminders of what God can and is doing in our world. Let me share a few here and in the next blog we will continue our look at the Jesus Movement. First, God showed that no one is outside His salvation touch. It reminds me of Acts 9, where Paul, the avid persecutor of the church, was brought to his knees before the living Lord. God is able to touch anyone who comes to Him in repentance and faith. Sometimes it is easy to write someone off as “outside” of God’s redeeming touch, but the Jesus movement, and the Word of God, show that we must never have that mindset. If you are a Christian, keep praying for those who you know need Christ in their life and watch God work. Second, walls were broken down. Some churches struggled with what was happening. People who did not look like them, dress or act exactly like them, were causing some churches to spend time judging instead of accepting what God was doing. God, though, used this time in history to show that His ways are not our ways, that there is not a set of rules by which everyone must abide, outside of God’s Word. In Acts 10, God confronted Peter over his attitude towards the Gentiles. The Lord used Peter, after challenging his narrow thinking and judgmental thinking, to reach the non-Jews with the Gospel. We read of this marvelous work of God in the chapter noted in Acts. It reminds me that we must be open to God bringing people to hear His message that may be different than us. But God is not held captive by my sometimes wrong thinking. He is at work in the world, wanting to bring people to salvation (2 Peter 3:9). We need to join Him in that. Three, discernment became necessary. Though many good things were happening during the Jesus Movement, the enemy was also at work. Cults grew out of the Jesus Movement, and the believers had to learn to discern truth from error, both in doctrine and practice. Paul commended the Bereans in Acts 17:11 for checking out what he said with the Scriptures. We must do the same today. Not only do we need to discern what is right Biblical teaching, but we must also discern people. We are not talking about legalistic judgment of others. We must recognize that people can often give off an air of spiritual knowledge that does not always line up with what the Bible says about how we are to live. Discernment is important, not only knowing right from wrong, but noting an individual and whether their use of the Bible lines up with Scripture and Biblical living. 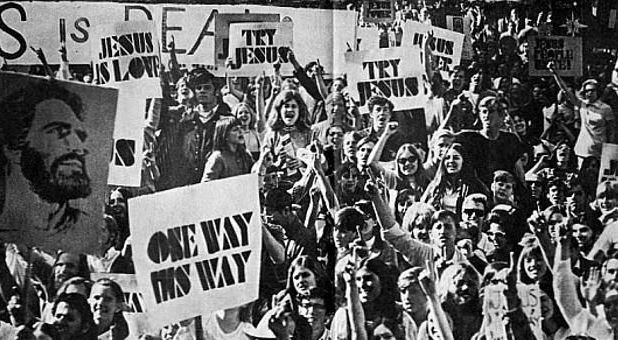 These are just a few things to consider as we look back on the Jesus Movement that are relevant for us today. We will look at some other things in our next blog.